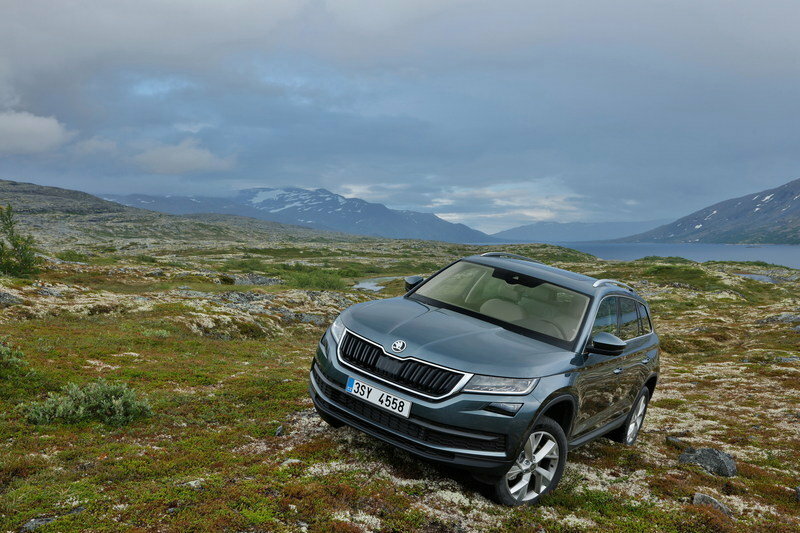 The Skoda Kodiaq is a very capable SUV. It doesn’t have the flash and panache of premium SUVs in its class. 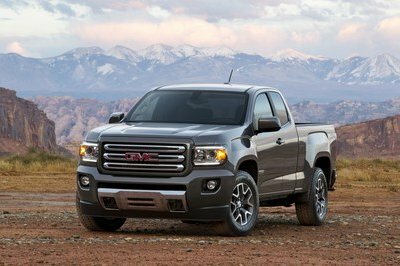 It’s not a large SUV with copious amounts of space and muscle-flexing towing capacity. Heck, it’s not even what you’d call a normal SUV from a high-volume automaker. The Kodiaq doesn’t fall in any of those categories, and yet, it somehow draws from each of them, too. It features a bit of that Euro SUV design swag. It’s not short on space and functionality, and it’s as close to a fuel-efficient SUV in the market today. Now imagine if the Kodiaq evolved from an SUV to a pickup. What would that look like? 35 students from Skoda’s Vocational School for Mechanical Engineering came up with the answer, and it is intriguing, to say the least. We only have one rendering of the rear quarter section of the Kodiaq pickup, but you can tell its configuration right off the bat. The bed is easy to spot, even if it doesn’t look that long. All the design elements of the Kodiaq SUV are in place, right down to the taillight design, diffuser, and the character lines that proliferate the side panels of the pickup. The wheels are preposterously huge. 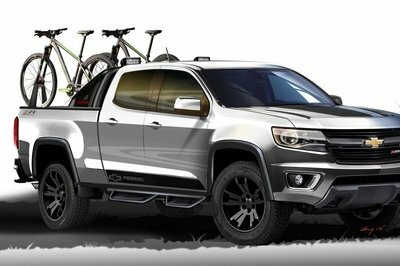 They actually make the rendering look like a cross between a pickup, ute, and monster truck. But those wheels are probably for show on paper. 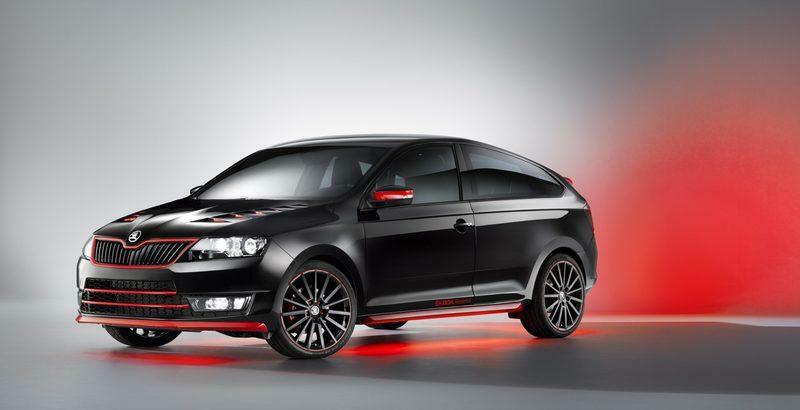 Once Skoda builds a life-sized version of the one-off concept, expect to see normal wheels on those. We don’t get to see the front section of the rendering, which, in part, is a shame, but also a bit exciting. It’s nice to see a bit of mystery surrounding Skoda. It seems like it rarely happens, though that’s because it does rarely happen. 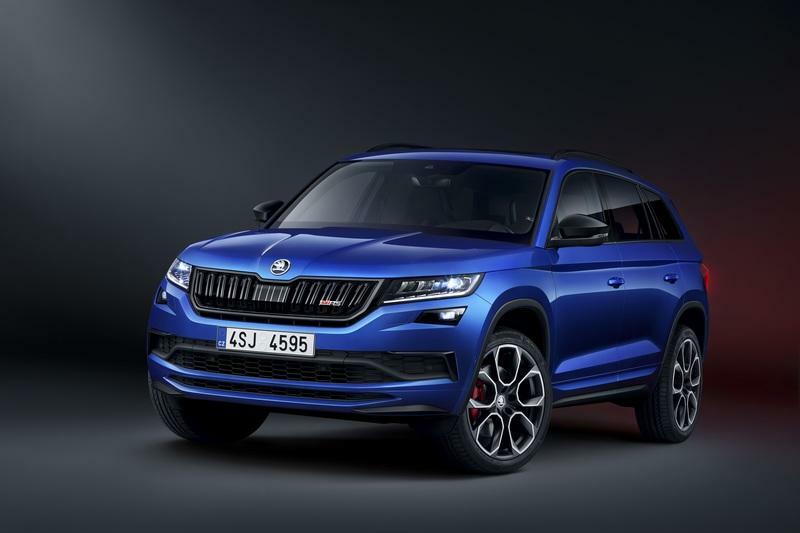 Unfortunately, a life-sized concept version is the farthest the Skoda Kodiaq pickup will go unless the Czech automaker loves it so much that it gives the green light to have it produced. It’s not like Skoda is short on resources; it has the entire Volkswagen group of companies behind it. But if history is a precedent, a production version is not in the cards. It’s a shame because the six-year-old program has created some pretty crazy concepts over the years, beginning in 2014. The Skoda CitiJet Concept was the first concept that was built under this program. It was unveiled in 2014 at the GTI Festival in Worthersee, Austria. Sure, the CitiJet was really just a dramatically stylized version of the Skoda’s popular CitiGo compact city car, but the team of 16 interns that worked on the project found a way to make it look totally and uniquely different. The compact car’s roof, for example, was chopped off completely, giving the CitiJet a sweet convertible vibe. The interns followed that up by dressing up the concept in a two-tone blue and white paint finish, complete with offsetting racing-striped liveries. A Ferrari F40-style rear wing was added at the back while the rear section benefits from a pair of asymmetrical roll hoops and dual exhaust tips. Power was provided by the CitiGo’s stock 1.0-liter engine, but the output was raised from 60 horsepower to 75 horsepower. The interior featured touches of red, black, and white — a curious mix given the blue and white exterior — while a 300-watt sound system and music-reactive LED lighting served as solid finishing touches. Nothing came out of the CitiJet Concept except a few curious looks, but it still succeeded in starting a program that has become an annual exercise in Mladá Boleslav. Believe it or not, but the Skoda Kodiaq pickup isn’t the first pickup concept to come out of Skoda’s Vocational School for Mechanical Engineering. That’s because, back in 2015, the Skoda FUNstar Concept was born. 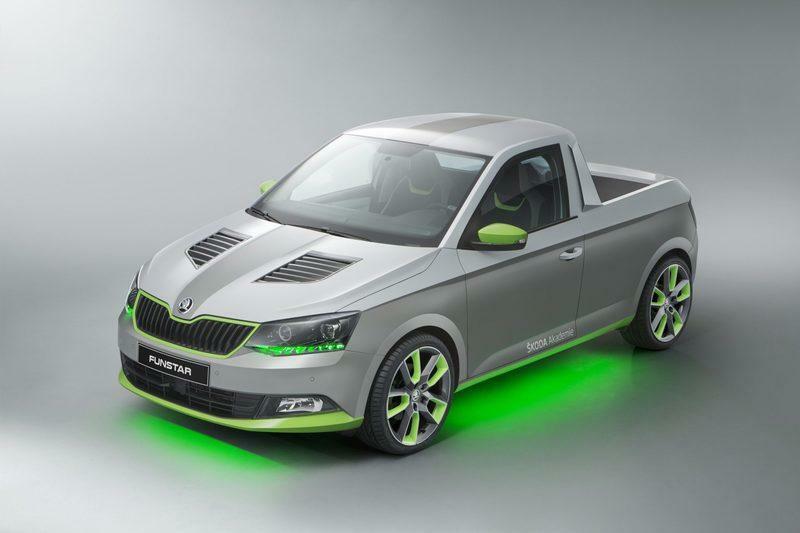 Based on the Fabia supermini, the FUNstar Concept took the program’s objective to a new level by completely transforming the Fabia into a full-blown, if still a little tiny pickup. The latter half of the Fabia was completely taken out and replaced with a tiny bed. The concept’s body also featured a three-tone color setup, separated, in part, by the concept’s character lines. The top section of the FUNstar was finished in white while the middle section received a gray finish. Meanwhile, the lowest area of the concept’s body was decked in a colorful neon green finish. Green neon lights and LED projectors displaying the company logo were installed in the underbody. These two themes would continue later in future Skoda concepts that trace their own roots to the automaker’s academy. The FUNstar also featured a dual-vented hood and reinforcements on the sides, as well as a widened B pillar that was necessary to handle its transformation from a mild-mannered hatchback to an attention-grabbing pickup. The interior also benefited from a few custom touches, none more significant than a 1,400-watt sound system that included a powerful 200-watt subwoofer, a three-spoke, flat-bottomed steering wheel wrapped in leather, and a touchscreen infotainment system with support for smartphone connectivity. Following the success of the CitiJet and Funstar concepts, a new batch of student interns decided to one-up its predecessor with their own creation, called the Skoda Atero Coupe. A total of 26 students from Skoda’s academy go designers, technicians, and engineers worked on the Atero, using the Skoda Rapid as the platform for their creation. The predominantly black body of the Atero Coupe includes red trims scattered throughout, mostly see in the front section as a surround to the coupe’s front grille to go with touches on the bumper and front lip spoiler. The rear section features a coupe-SUV-like tail like that of the BMW X6. I doubt that the student interns intentionally tried to copy the X6’s rear end design, but the finished product does look more like a coupe-SUV — it’s a crossover! — than a traditional two-door. As an added touch, red neon-glow lighting was installed in the underbody, giving the Atero Coupe a splash of personality to go along with side dishes of swag. Unfortunately, that swag doesn’t extend to the Atero Coupe’s engine. Skoda’s 1.4-liter turbocharged engine lives under the hood of the coupe, producing nothing more than 123 horsepower. It’s not exactly sports-car-like numbers, but the overall product is a solid example of the parts being greater than the sum. For the second time in four years, the Skoda CitiGo took center stage as 22 student’s from Skoda’s academy took up the task of transforming the compact city car into a one-off buggy. The concept was called the Element, and it was powered b by all-electric powertrain. Yes, who knew that the tiny CitiGo could morph into a cute little buggy that runs on electricity. Not a lot of people saw it coming in 2016, at least except the student interns who pored in 1,500 hours of work in order to breathe life into the concept. Like the CitiJet and Altero Coupe, the Element is a product of youthful and ambitious imaginations, a lot of whom were united in the goal of creating a new concept using the CitiGo’s platform. Adopting the profile of a buggy, the Element’s doors were ditched in favor of, well, nothing. The rear seats were taken out, too, as was the Citigo’s roof. The students did install a lid on the trunk and, more importantly, did the lion’s share of the work — with the help of professionals from Skoda, of course — in turning a car that otherwise would have had a 1.0-liter engine, not a rock-em and sock-em electric buggy. 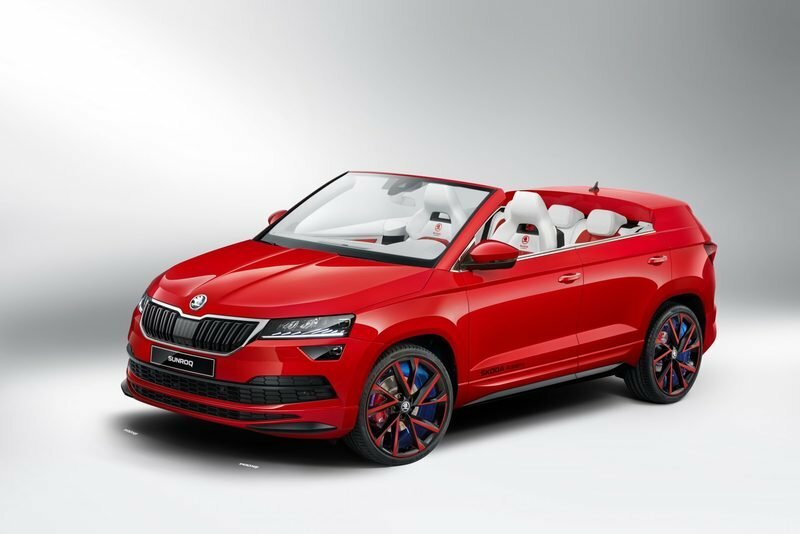 Skoda didn’t reveal how much power the Element has, but given its powertrain configuration, don’t be surprised if the Element actually produced more than 100 horsepower when it was given the concept treatment back in 2016. There must be something in the water over there at the Skoda Vocational School for Mechanical Engineering that makes student interns so eager to wield saws in their hands and cut off the roofs of the projects its makes. This model is called the Skoda Sunroq, and it’s based on the Skoda Karoq. Or it was, until the team of 23 students that made it thought better to get rid of its roof entirely. That’s one of the many changes that happened as the Karoq transformed into the Sunroq. In addition to the roof getting butchered, the students also altered the SUV’s A-pillar and removed the rear doors completely. Not everything was removed, though. Apparently, the students also thought it would be cool to throw in an extra bump at the back. 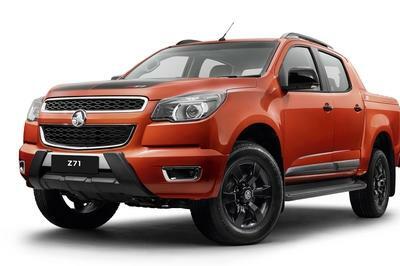 It looks like a rump grafted onto the rear section of the SUV to create what I can only imagine is a stylistic interpretation of a crossover mixed with a speedster and mixed with a sports buggy. The Sunroq’s interior looks far more subdued, though it was still treated with a white and red leather interior, complete with bucket seats and backlit alloys. Oh, and the Skoda badge on the hood of the Sunroq lights up, too. How’s that for fancy, right? Read our in-depth review of the 2017 Skoda Kodiaq. Read our review of the 2019 Skoda Kodiaq RS. 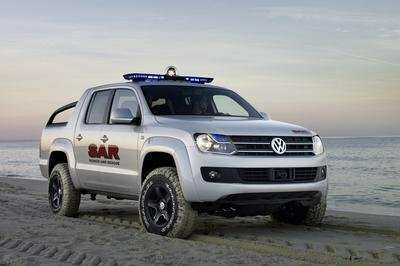 Mladá Boleslav, 25 March 2019 – The sixth ŠKODA Student Concept Car will be a spectacular pickup version of the ŠKODA KODIAQ. That is the goal of 35 vocational students, among them six young women, who in 2019 will for the first time be using the ŠKODA KODIAQ as the starting point for their Student Car. With expert support from experienced ŠKODA engineers and staff from the Technical Development, Design and Production departments, they are transforming the Czech car manufacturer’s largest SUV into a dynamic, two-door pickup. June 2019 will see the vehicle introduced to journalists and the public. Every year since 2014, this hands-on student project has demonstrated the excellent standard of professional training at the ŠKODA Vocational School in Mladá Boleslav, which looks back on a history spanning more than 90 years. 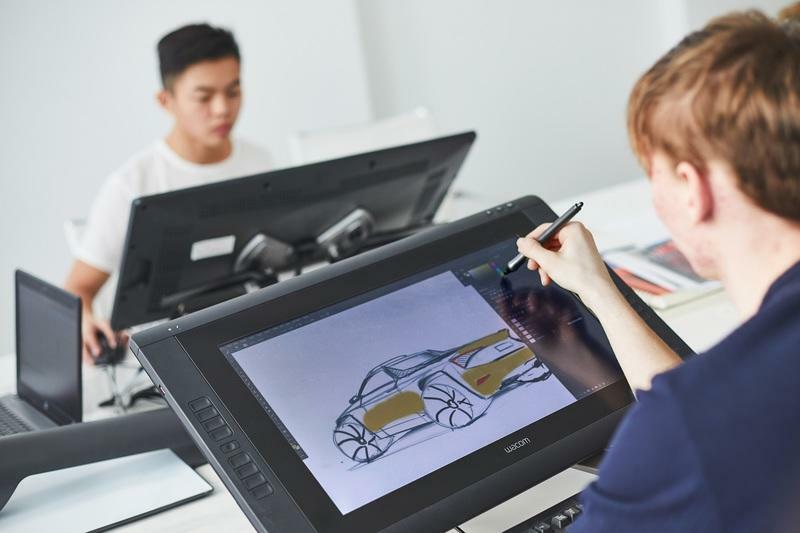 Aged between 17 and 20 years, the trainees at the ŠKODA Vocational School for Mechanical Engineering, among them six young women, are currently working on a new Student Car by turning a ŠKODA KODIAQ into a modern two-door pickup with an expressive design. 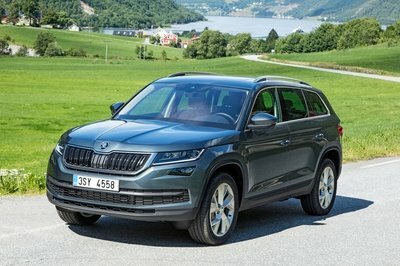 The choice of model series was quite deliberate: it emphasises the role the KODIAQ plays for ŠKODA, while using massive wheels, sharp edges and sculptural surfaces to demonstrate that the uncluttered, emotive design of the largest ŠKODA SUV still leaves plenty of scope for artistic licence. The sixth vehicle from the project series started in 2014 will be presented to the public in June. For the participating students, this real-life project represents the highlight of their vocational training. It enables them to showcase their creativity and talent as vehicle developers even as they are still learning their craft. Student Zuzana Otradovská emphasises that “the Student Car is a fantastic project” and asks, “Where else do you get this unique opportunity to build your own car as part of your vocational training, in a small team and with the support of experienced ŠKODA engineers, designers and teachers, all while being able to implement your own ideas and visions?” In an early phase of their training, the project participants were able to observe Chief Designer Oliver Stefani and his team at the ŠKODA Design centre in Mladá Boleslav before proceeding to create their own first hand-drawn sketches under expert tutelage. Since 2014, students at the ŠKODA Vocational School for Mechanical Engineering in Mladá Boleslav have produced one new concept car each year. 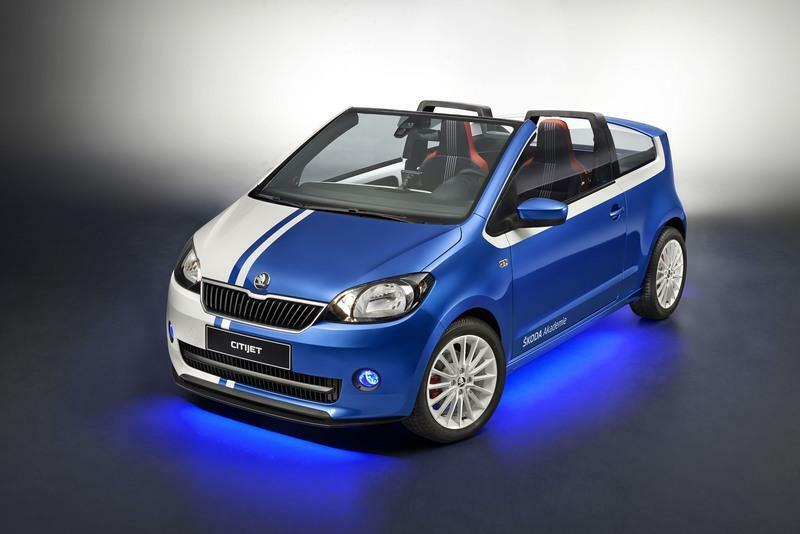 The first Student Concept Car was the CITIJET based on the ŠKODA CITIGO; it was followed by the FUNSTAR, a FABIA pickup. The RAPID SPACEBACK provided the basis for the ATERO coupé. 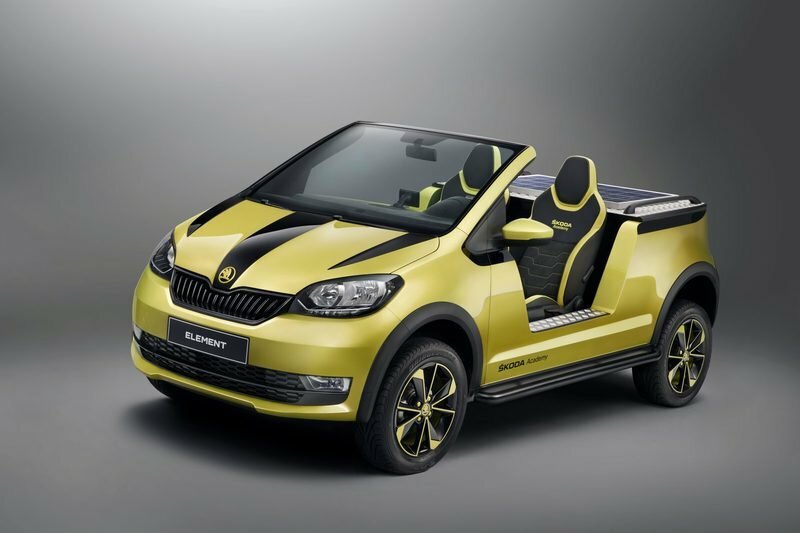 In 2017, another ŠKODA CITIGO was turned into the electric ELEMENT Student Car, and in 2018, the students built a SUNROQ SUV convertible based on the ŠKODA KAROQ compact SUV. 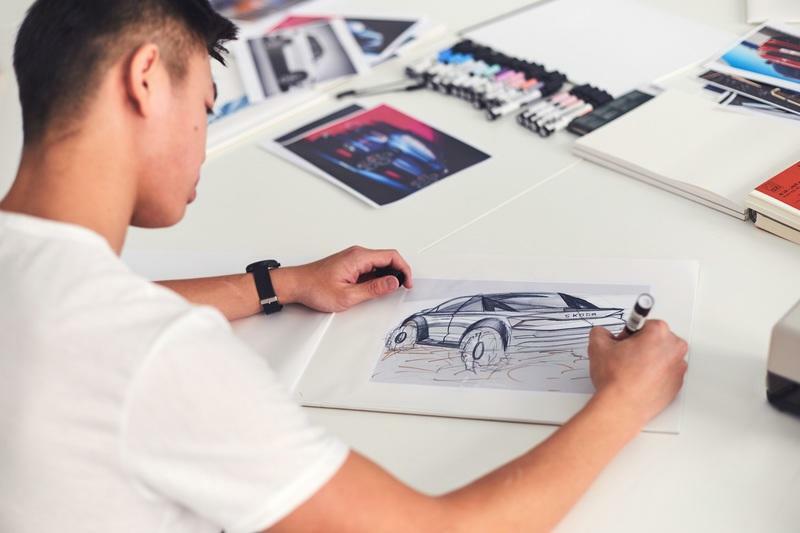 Each of these vehicles demonstrates the ŠKODA students’ creativity and highlights the superb opportunities trainees at the ŠKODA Academy enjoy. On ŠKODA Storyboard you will find an overview of all previous ŠKODA Azubi-Concept Cars. Founded in 1927, the school offers three-year and four-year training courses for many technical careers. The high standard of training and modern equipment benefits the students as much as their future employers.